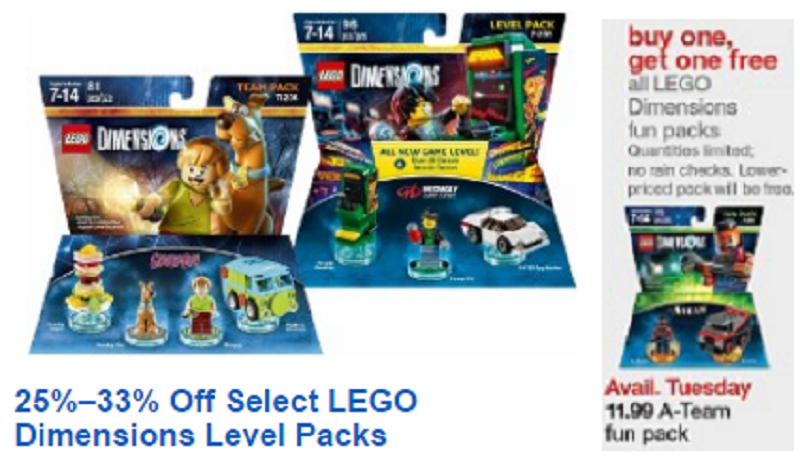 Best Buy is celebrating the launch of Wave 6 by offering a big discount on previous LEGO Dimensions sets. Today only (September 27th) you can save 25%-33% on select LEGO Dimension packs. Target on the other hand is offering a week long sale on Fun Packs. You can pick them up on sale for Buy 1 Get 1 free. This deal will last through October 1st. POLL: Who Do You Think Will Take Away The Awards In Tonight’s ‘The Game Awards’?